Through intentional relationship, we aim to provide resources beyond emergency food support. This journey involves discovering the unmet needs of our guests. Our hope is to equip families to movebeyond the Food Bank line into secure housing, positive employment, healthier relationships, and an overall increased quality of life. To do this we have to jump many hurdles and pass through many walls that have been built over lifetimes. While this sounds amazing, we are discovering each transformation starts with achievements you or I might take for granted. “Love recognizes no barriers. It jumps hurdles, leaps fences, penetrates walls to arrive at its destination full of hope”. Recently one of our Everest families had a breakthrough. When we first sat down with the parents, they self-identified as needing help in gaining rewarding and sustainable employment. While they were both thankful to be employed, they were finding it hard to make ends meet for their family of 7. The mother held down 2 part time jobs at a minimal wage and the father had full time work at $16 an hour.Through more dialogue, we discovered some pieces of the puzzle were missing. The father had never learned to drive and their son had a severe medical condition managed through Children’s Hospital without a family doctor. As you can imagine, without a family doctor, the family had to explain their child’s condition to each walk-in doctor they met. Not having a family doctor often left them feeling disappointed and running in circles. Without a license, the husband and family were dependent on the wife’s availability to drive. Between driving all their children around and working two part time jobs, time was another commodity they did not have. These seemingly small barriers put a cap on their freedom to explore their potential and provide for their family. Through trust and relationship, the family was willing to work with us towards finding a doctor and studying for a driving test. We are happy to announce that after many hours of study and practice the father was able to pass his driving test and the family now has a doctor. The hurdles are beginning to come down and together we see the destination with hope! Small victories are the stepping stones to great accomplishments. 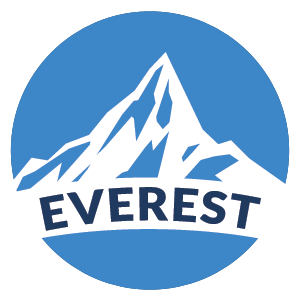 By supporting the Abbotsford Food Bank and the ‘Everest’ program, you are ensuring we have opportunity to create relationships with lasting effect. Recently, we asked a guest if they had any support networks and family in Abbotsford and they responded with – “I don’t really have any. But I have you guys!” This is where we start. We start with relationship and together we jump hurdles, leap fences and penetrate walls to arrive at our destination full of hope.